As a child, I was turned away from three dance studios. The instructors had no idea how to teach a little girl who wore heavy cable braces on both legs. At the fourth dance studio, the teacher let me sit and watch, but I didn’t stay in my little chair for long. Once I proved I could keep up, she let me join the class. As my pediatrician had predicted, dance was great therapy. I was born with the fibula bones of both lower legs rolled inward. Yes, I was extremely pigeon-toed and dance helped to retrain the muscles to get my legs into the proper alignment. Years of hard work and sheer determination let me overcome my early disability and let me follow my dreams. I taught ballet, tap, and jazz for five years in Cincinnati while I was attending junior high and high school. I graduated from the prestigious American Music & Dramatic Academy (AMDA) in New York and then taught dance, first in Chicago and then at AMDA in New York. I spent more than a decade performing in dance productions and musical theater in New York, Chicago, Michigan, Wisconsin, Japan, and New Hampshire. I hit the high seas as a dancer/singer/actress for Norwegian Cruise Lines and danced as a Rockette in the Radio City Christmas Spectacular in Mexico City. Dance is a demanding profession and when the time came to transition to a new career, I knew exactly what I wanted to do. I had come to rely on Pilates on the road and knew it could help others. Helping teens and adults increase strength, improve posture, and feel better is the best job ever. 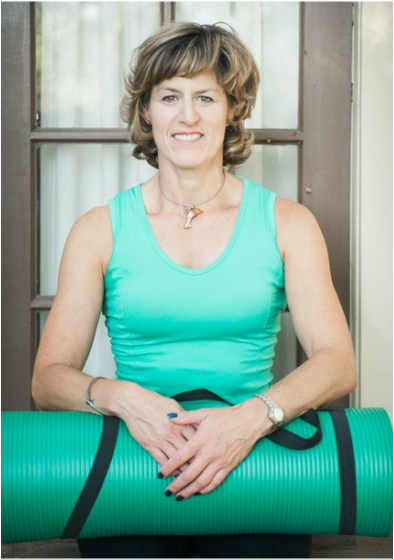 In addition to teaching at my own studio, I have taught Pilates at several membership clubs as well as retreats. I once traveled to Italy as a guest instructor at a Pilates and cooking event at Cascina Papaveri. I’m honored to be a volunteer teacher at Cancer Support Community Pasadena, a non-profit organization providing free support, cancer education and hope. I teach Pilates to people with cancer and their caregivers. Pilates Intensive with Rebecca Leone which covered brain science, mind/body connection, neuromuscular firing patterns, alignment techniques, spine safety, and proprioceptive neuromuscular facilitation stretching. ​In addition, I’ve attended the Peak Pilates Empowerment Conference, Pilates Method Alliance Conference, the Inner IDEA conference, and the Body Mind Spirit Expo. Visit my Testimonials page to read what my clients have to say or visit my Yelp! page for recent reviews.